Place the cow heel in 4 cups of water. Add salt, garlic, and some of your favorite green seasoning. Pressure-cook the cow heel until it is soft. In another pot boil (or pressure-cook) the split peas, onion, pimento, garlic, chive, and green seasoning in 4 cups of water. Cook the split peas until soft. Clean and dice the provision. Boil the provision in water. When done remove the provision and set aside. 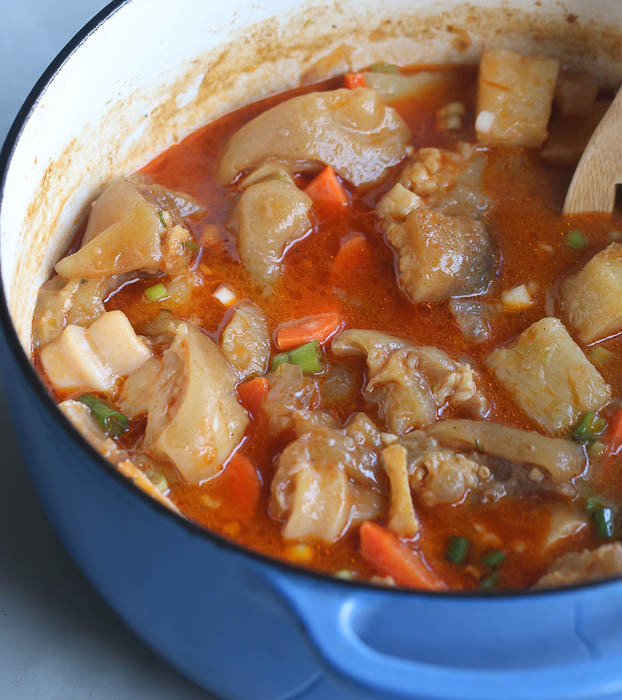 Add cow heel, bouillon cubes (optional), provision, dumplings and chicken noodle soup to the cooked split peas and allow to simmer. 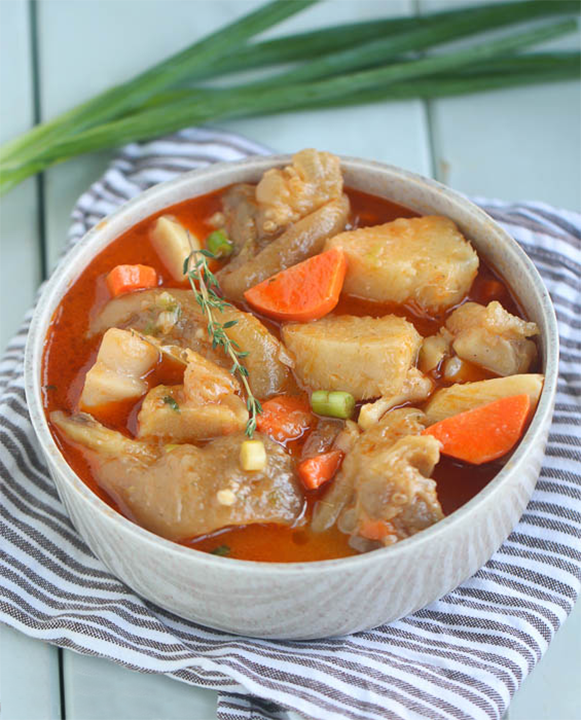 I made this cow heel soup today and this is the best recipe I’ve had. The recipe was easy to follow. I substituted the split peas with lentils instead and still it was great! This soup was on point and I the best thing about it is that I didn’t need anything else after having it. I loved loved loved it. I look forward to trying all the recipes on this website. Thank you so much sharing! Merry Christmas everyone! Thank you for letting us know how successful our recipe worked out for you. Glad to see that you could improvise a little to suit your taste. Please let us know when you try the others.